Sue Macy is passionately steeped in the history of the female athlete. Writing their stories has been her life’s work. She’s met the most accomplished females competitors of all time, face-to-face. Donna De Varona, Althea Gibson, and those incredible women of the All American Girls Baseball League to name just a few. She has been privileged to do so because she honors their legacies with her words, and her heart. 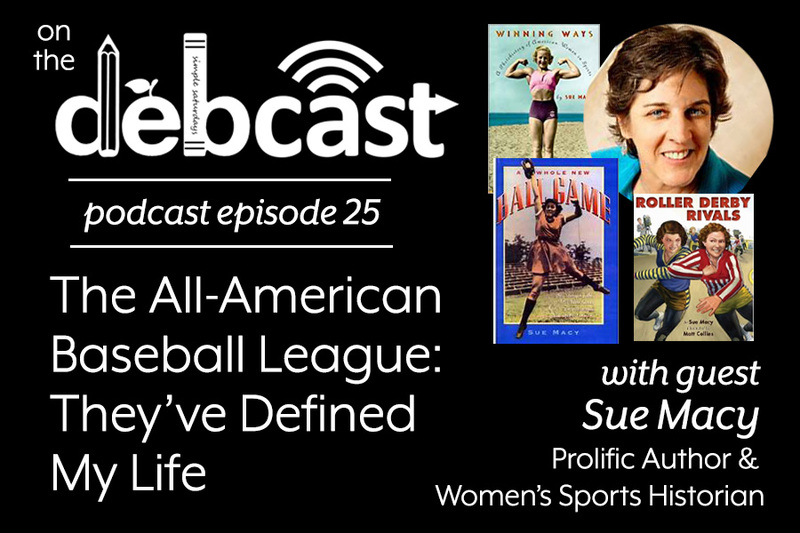 In this episode, Sue talks about being athletic as girl and yet stymied by the limitations of growing up in a pre-Title IX era. Sue Macy is a published author and an editor of children's books and young adult books. Some of the published credits of Sue Macy include Swifter, Higher, Stronger: A Photographic History of the Summer Olympics, Bull's-Eye: A Photobiography of Annie Oakley (Photobiographies), Freeze Frame: A Photographic History of the Winter Olympics.